This is the first of two posts from my recent trip to London. 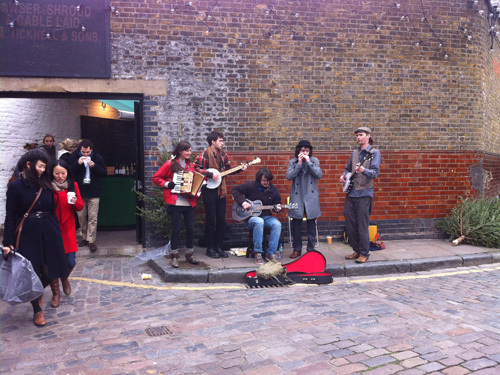 One of the highlights of the trip was going to a couple of street markets—Columbia Road Flower Market and Broadway Market—both of which were within walking distance of where I was staying with friends in East London. 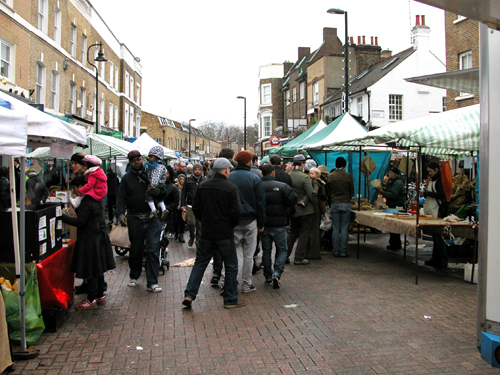 I first heard about the Columbia Road market when corresponding with British designer, Brie Harrison. Brie was kind enough to send directions along with her recommendation and I realized that it was literally only a few blocks from where I would be staying. 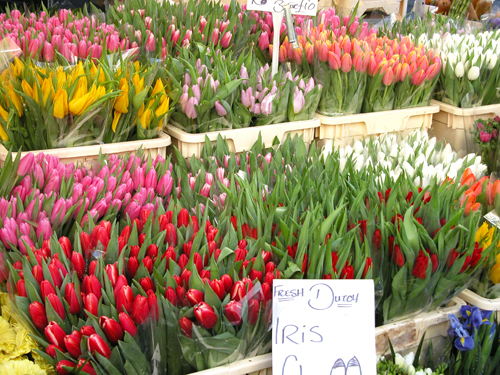 The flower market is held on Sunday mornings and is filled with stalls of fresh flowers of every kind. 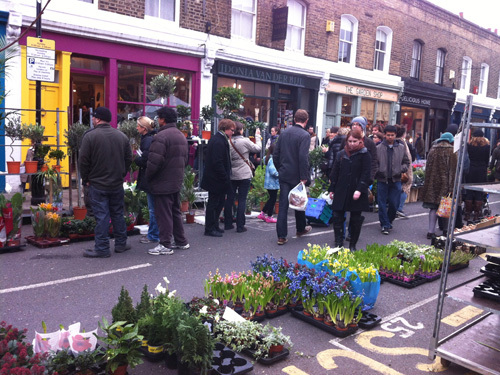 One of the hallmarks of the market is hearing the hawkers shout, "Fresh flowers for a fiver!" In addition to the flower stalls, the street is lined with some of the most unique shops which often have their wares spilling out onto the sidewalk. 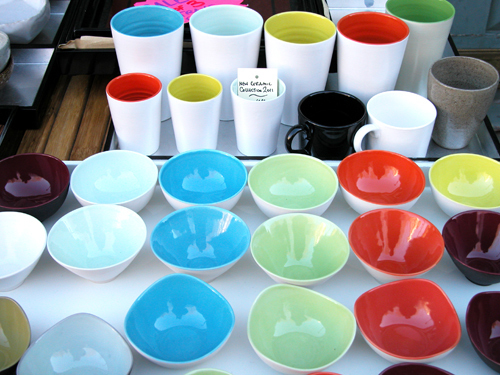 These ceramics from Nom were among my favorites. 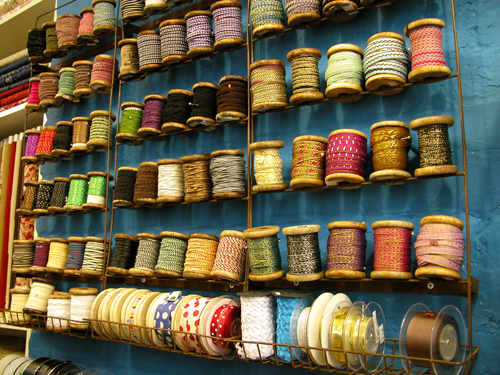 As was this beautiful display of ribbons on the wall of the fabric shop, Beyond Fabrics. 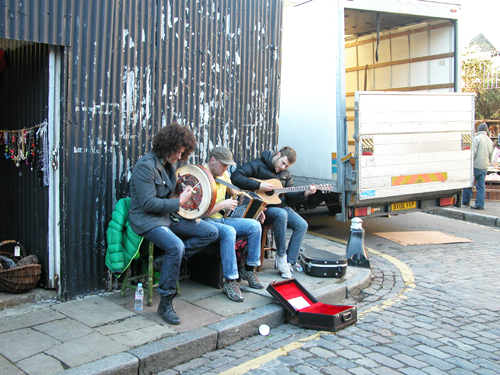 Adding to the atmosphere were wonderful street musicians constantly drawing a crowd. 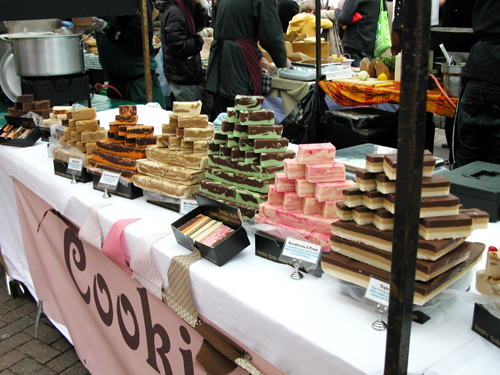 This was my second trip to Broadway Market and the variety is what makes it worthwhile. Held on Saturday mornings, this market includes stalls selling everything from artisan breads, fudge, cheeses and spit-roasted pig to vintage clothes and handmade jewelry, soaps and accessories—and, of course, fresh flowers. 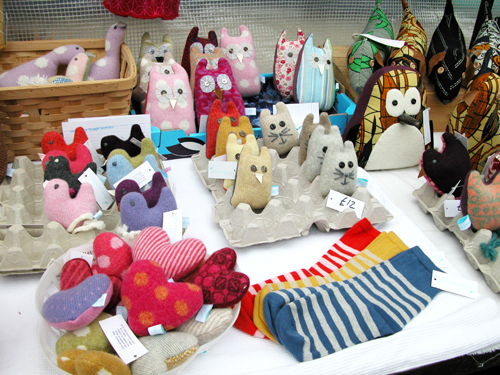 One of my favorites was this collection of handmade treasures by Catherine Tough Textiles. And the real reason that I trekked to London was to meet Reuben, shown here with his father, Murray.